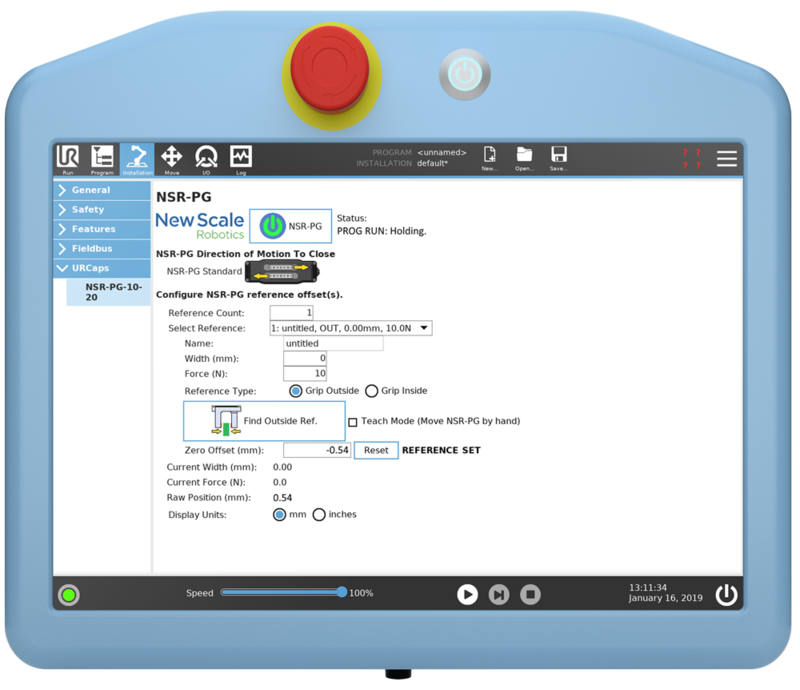 Use the NSR-PG for automated gauging and measurement of small parts. 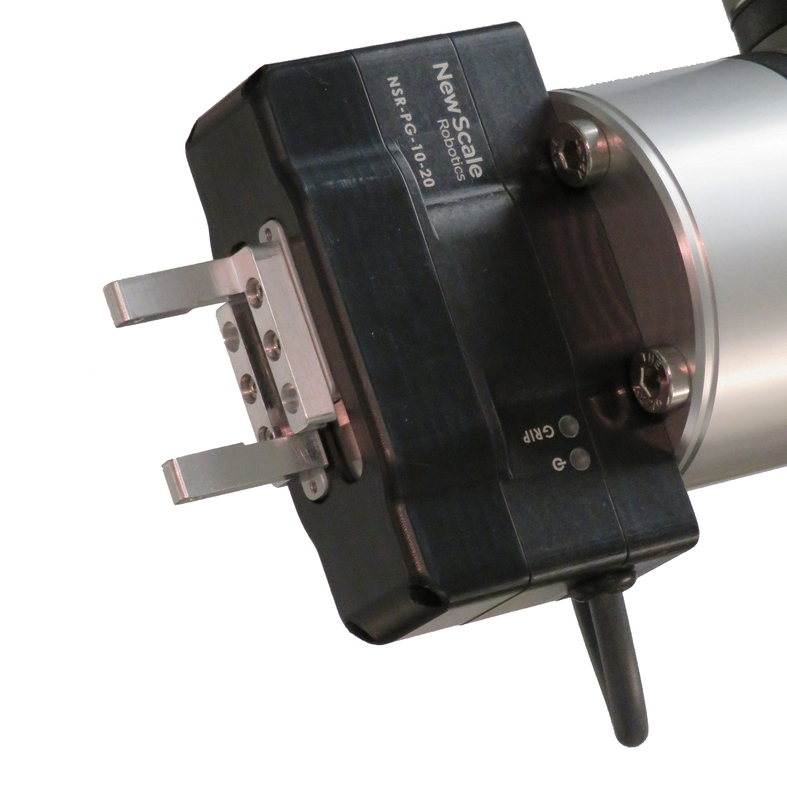 The internal high-resolution position sensor provides absolute position of the fingers with resolution of 10 µm. This position information is continuously available to the software, enabling decision-making in automation scripts. 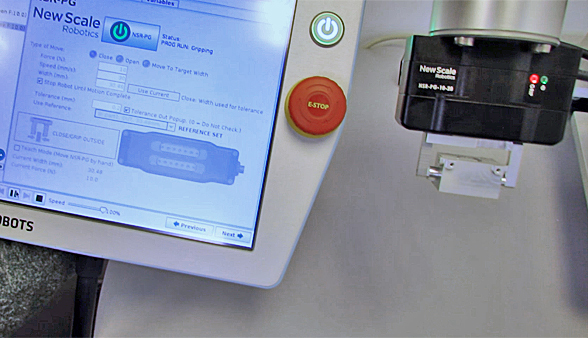 It allows you to automate repetitive, labor-intensive measurement and quality control tasks. 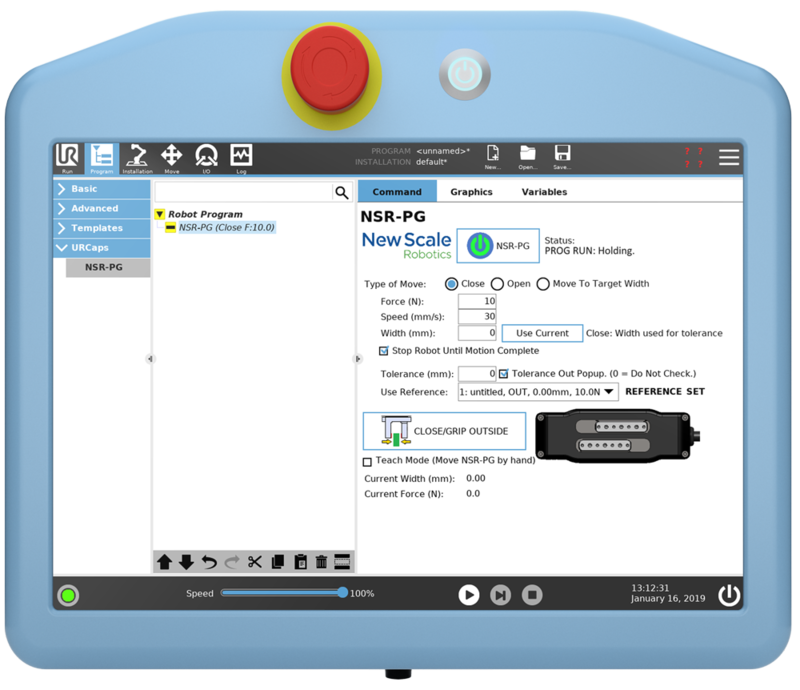 The NSR-PG makes your Universal Robot a powerful tool for metrology. 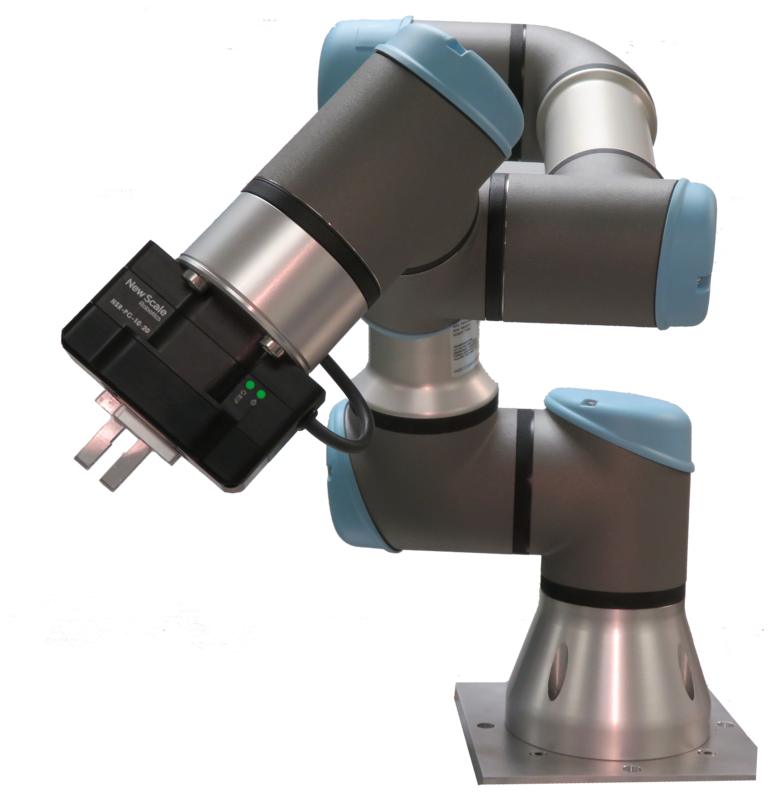 The NSR-PG is an easy-to-use, plug-and-play solution for collaborative robots. It is agile enough to handle many different tasks involving small part gripping, measurement, sorting and assembly. It installs in minutes using the UR robot output flange, tool I/O port, and URCaps plugin on the teach pendant. Your production team can minimize set-up time and make quick changes on the factory floor. Fast and easy connection to the UR Tool I/O port. No converters needed. To install the gripper, simply mount it to your UR robot tool flange and connect the single cable to the UR tool I/O port. Power and digital commands are received through the robot 8-pin tool I/O interface. No external wires or separate electronics are needed. This allows for full 360-degree or infinite rotation of the UR robot wrist joint without cable interference. The NSR-PG ships with factory fingers installed so you can get right to work. These handle workpieces up to approximately 60 mm and 100 grams. 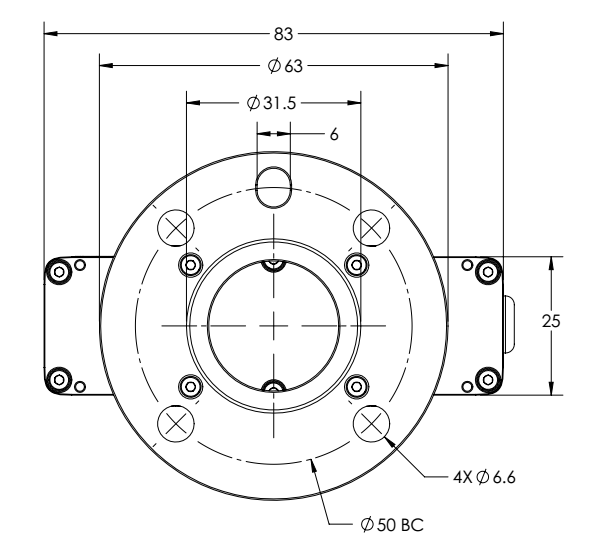 Fingers are easily interchangeable using the standard flange interface with a precision, pin-located finger reference mounting surface. You can modify the standard fingers or create custom ones optimized to your parts. Use our CAD models as a reference design or contact us for custom fingers. Grip force and speed control are programmable to handle delicate or rigid parts. The gripper has speeds up to 20 mm/second and grip force up to 10 Newtons. 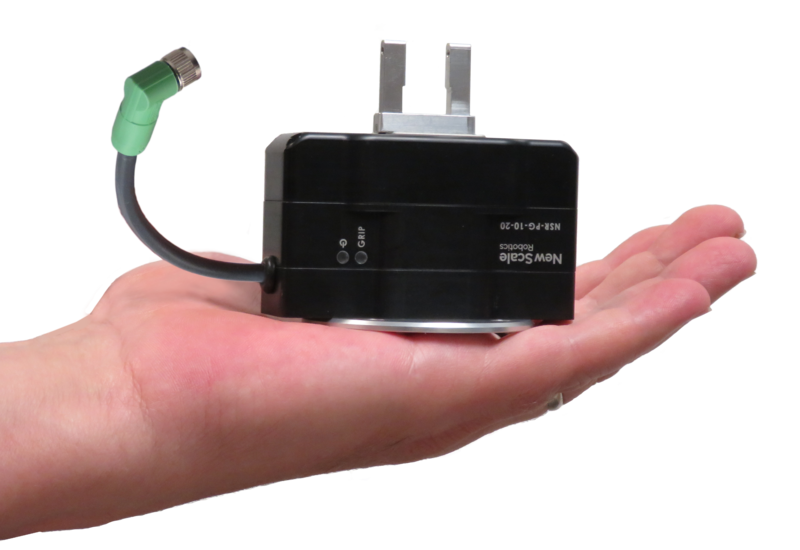 The NSR-PG is a compact electric gripper with a rugged, no-maintenance design. It features a brushless DC motor, internal position sensor, and a proprietary motion control system for fast and precise motion. Manually move fingers to the desired position and set them using the teach pendant. This process is familiar to anyone who has used a UR robot in teach mode. Position is repeatable to 0.01 mm. Setting finger open and closed positions to match your workpiece lets you minimize the finger motion (stroke) for each operation, saving time and energy. 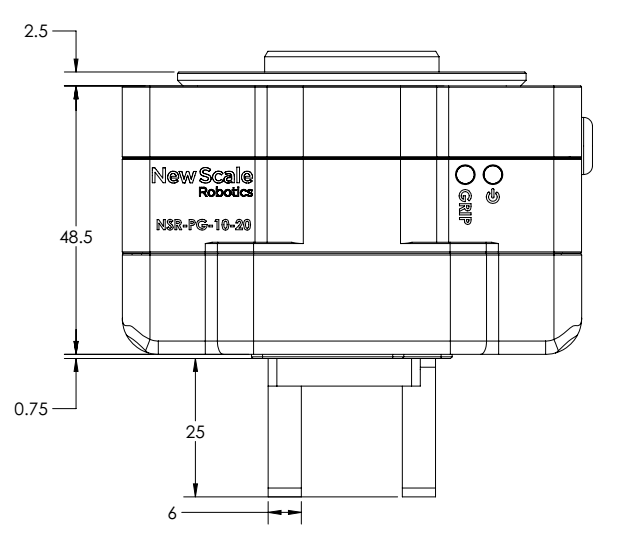 Compare the NSR-PG-10-20 to robot grippers from Dahl, OnRobot, Robotiq, Schunk, Weiss, and Zimmer. Contact us with your technical questions or buy a gripper direct from the factory in New York. Our grippers are available from all Universal Robots distributors. Locate a UR sales office or distributor near you.